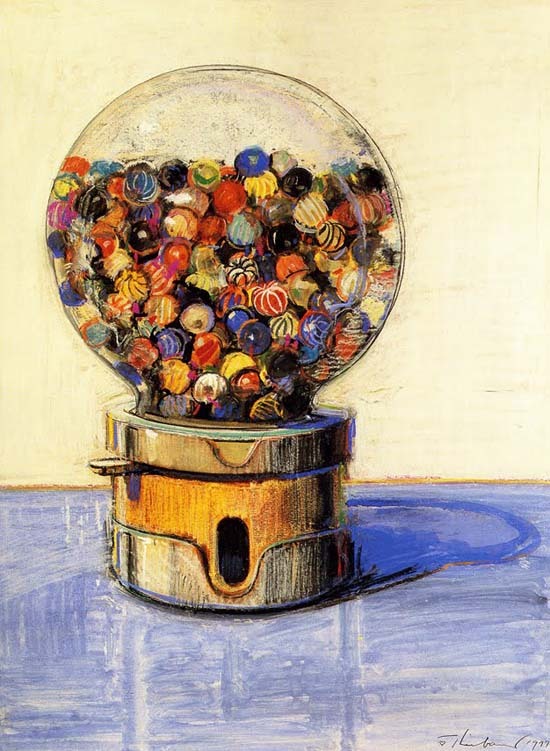 Creative Sketchbook: Sweet Treats by Wayne Thiebaud! 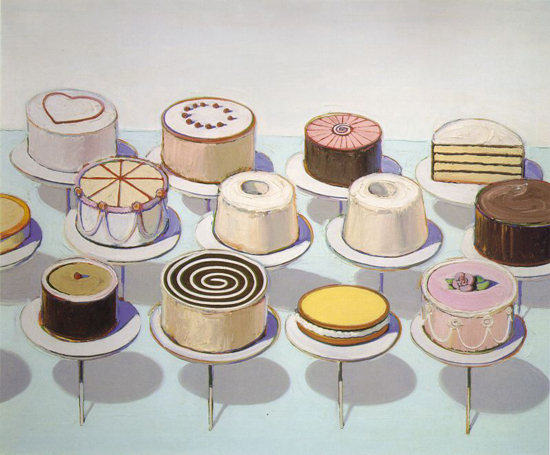 Wayne Thiebaud is an artist that my students particularly like exploring, so I thought I would appeal to your sweet tooth and share him with you. 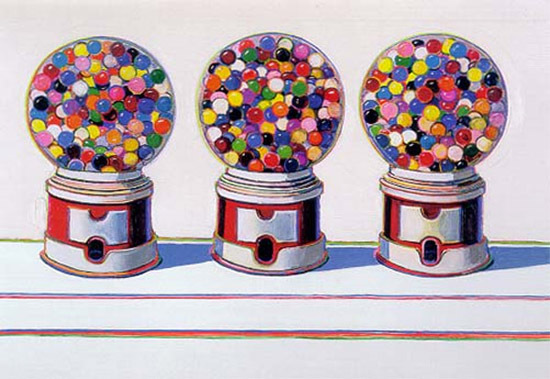 Interestingly Wayne was born in Arizona, moved to live in California and spent several years as a professional cartoonist at the Walt Disney Studios before moving on to teach art himself. 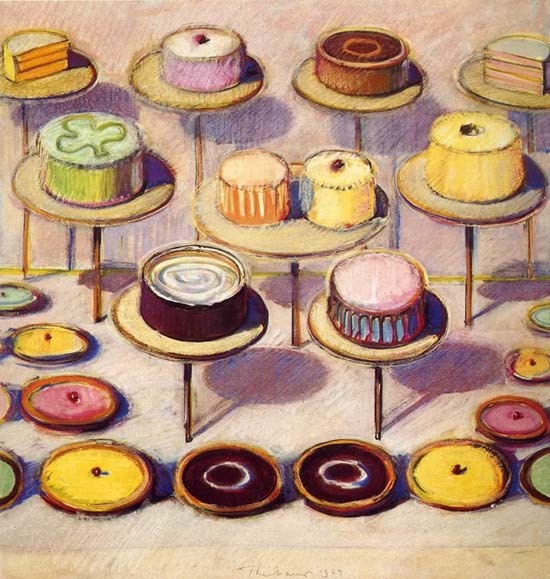 His interest in everyday objects and celebration of popular culture is evident throughout his paintings that excitingly capture delicious looking cakes, sweets, cupcakes, pastries, lollypops, ice cream, pies, donuts and sandwiches to name but a yummy few. 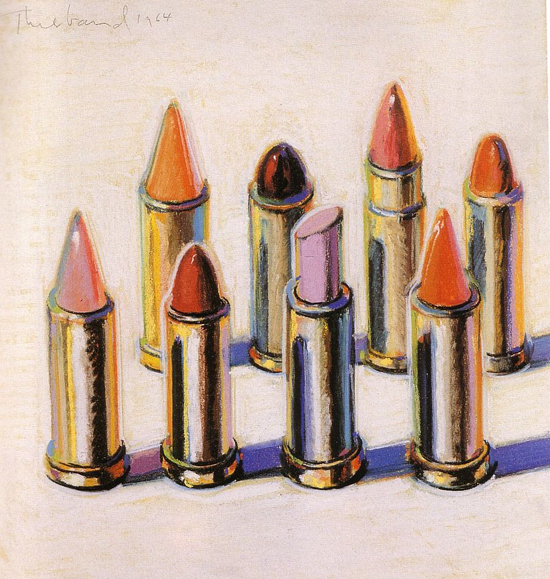 The strong and exaggerated colours Wayne uses, combined with a sensuous use of paint with fat brushstrokes and creation of well-defined shadows bring his paintings to life. 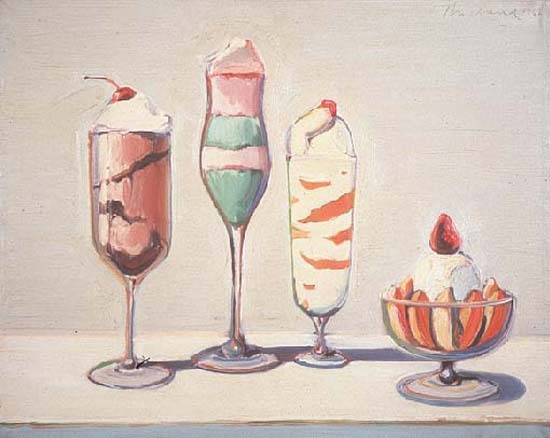 They are certainly not pieces of art you would like to be studying when you are feeling peckish. 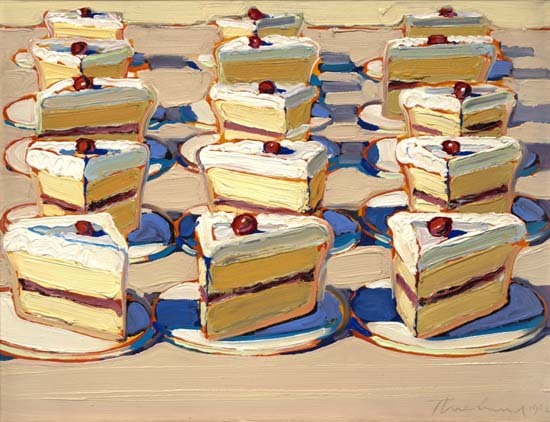 Wayne captures great textural qualities and detail by dragging oil paint across the surface and around the shapes, whether on paper, canvas or board , that creates an effect that almost looks like whipped cream, swirling ice cream and sweet frosting. 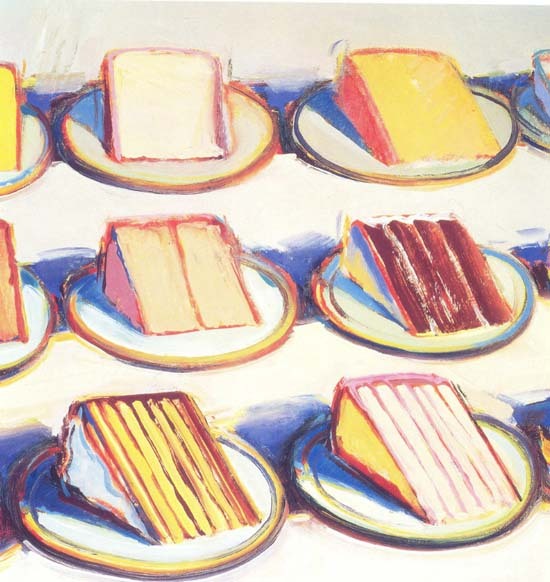 The way Wayne positions and captures row upon row of delicious delights reminds me of looking through the window of bakery and wanting everything they had on offer! Mmmmmmmmm!